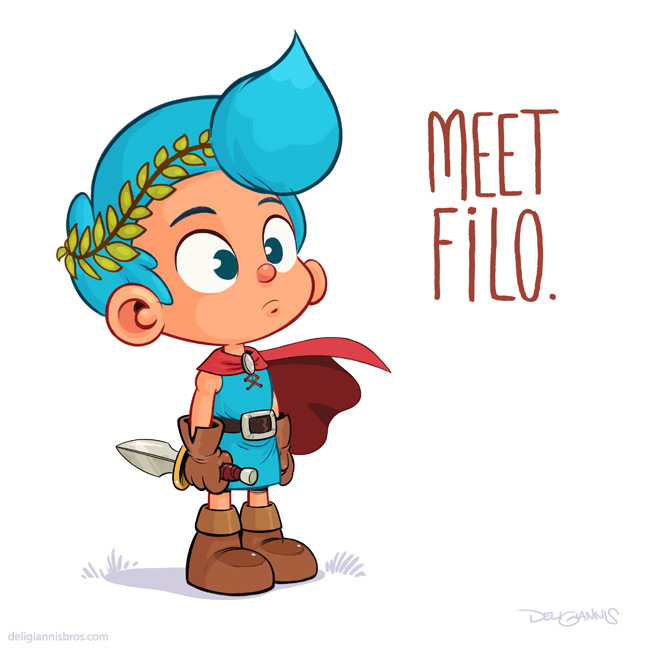 Meet Filo. — Deligiannis Bros. This is Filo. He's got a story, and we're going to tell it. Filo’s been around for a long time. Apple was going bankrupt and the Twin Towers were standing when my brother Emmanuel drew him for the first time. I have sketchbooks filled with bad drawings of him. We designed an entire college semester project around him. In 2004, after a decade of going to Comic-Con as fans, we set up our first ever booth to sell nothing but prints of him (young Greek bravado). We know his story. We’ve been talking about telling it for ages. But we’ve never told it. And we figured it was time to start changing that. Two young dreamers at Comic-Con, 2004. Our goal is to produce a book telling Filo’s story. For the past few months, my brother has been getting that story out of his head and onto paper. At Christmas, he handed me the script, and in January I started laying out pages. So that's where we're at now. I’m trying resist the urge to jump to any finished art until I’ve laid out a large enough chunk. All of this is in the off-hours, so it’s a chip away the stone type of situation. We both work full time (and then some) on demanding TV productions, and I’ve got a wife and two kids (and a third due at the end of this month…!) that come before anything else. After those priorities, there’s very little time for anything else - especially something like this. That’s why this is the sort of thing you’re not supposed to talk about until you’re almost done with it. But doing it also means doing (and thus posting) less of the stuff I usually share online, like commissions, sketch covers, and various side projects. 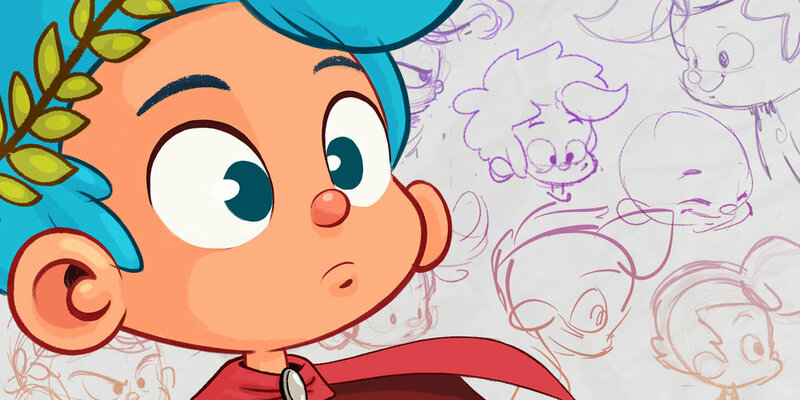 So it’s a balancing act, but for the most part, the plan is to spend those few midnight hours usually reserved for that stuff drawing Filo instead, and share some progress as I make it. I know where we’re at in the process, and where we want to be, and that gets a little intimidating. I wish I could devote every working hour to Filo, but for now I’m happy to just finally be bringing his world to life, one page at at time. I’m posting progress shots on Instagram, so if you’re there, come hit that follow button and let’s see how this goes.